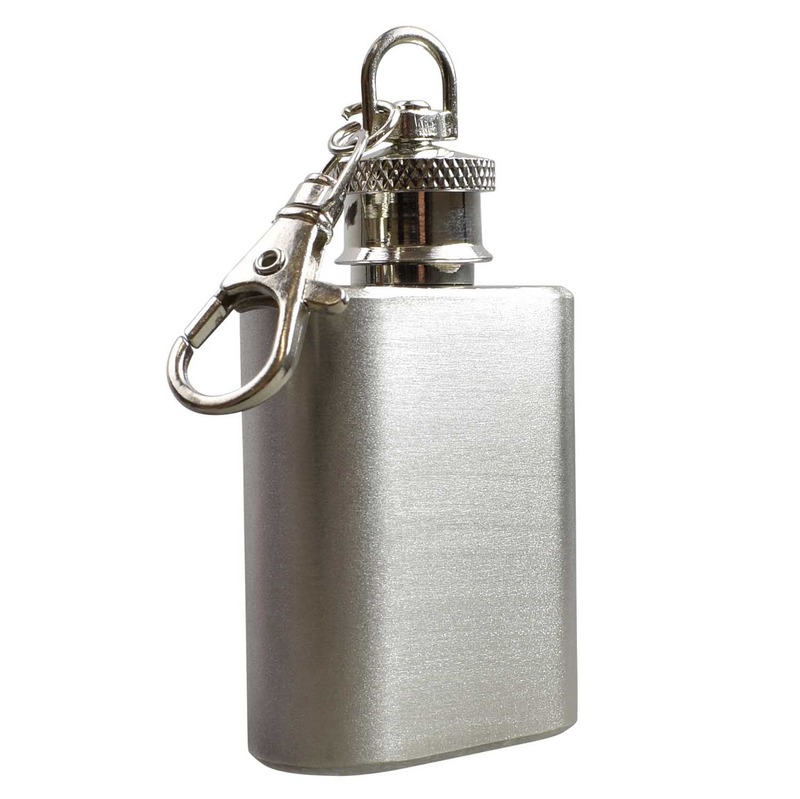 A 1oz size hip flask / keyring. Perfectly sized to hold one measure of spirits, discrete enough to take anywhere with you. 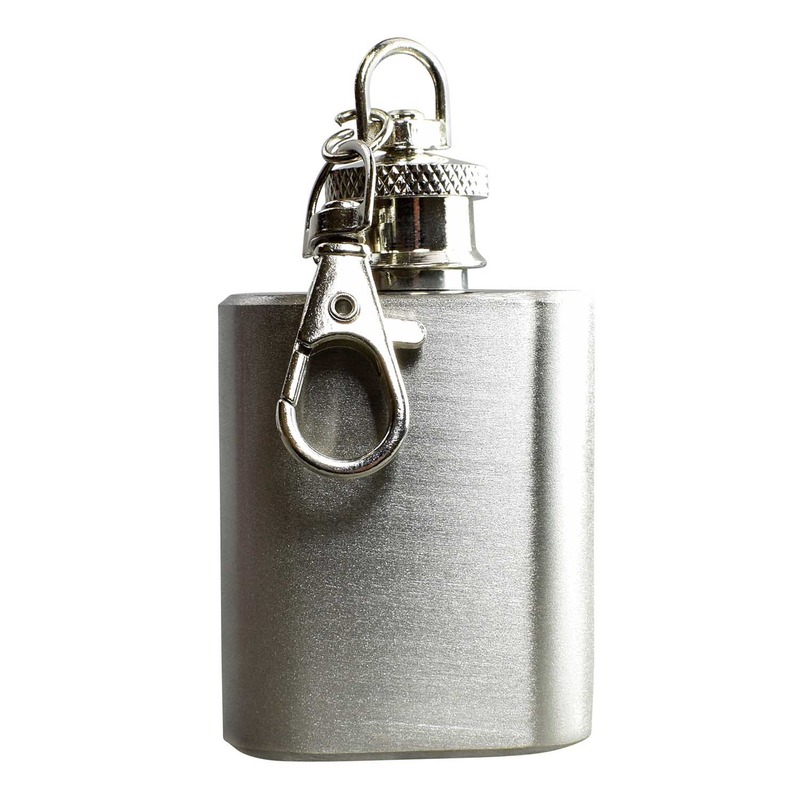 The flask is made leak-proof by a secure screw cap, and is fitted with a convenient lobster claw key ring so you can attach it to your keys so you don’t forget it. Ideal gift for birthdays, christmas, weddings and a special thank you. Engraving Information - please read for best results. On this hip flask we engrave up to 4 lines of 12 characters each (including spaces).